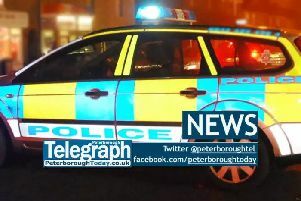 A Peterborough man has been jailed after a series of frauds at homes in the city where he posed as a workman. Anthony Atkins, 40, formerly of Manton, Bretton, Peterborough, made a number of calls to addresses in the city last November asking for money, claiming he has either cleaned out their gutters or windows, or the gutters needed to be cleaned. He pleaded guilty on January 16 at Peterborough Crown Court to four counts of fraud on a basis that he did carry out the work but without the consent of the residents or to low standard. He was sentenced on January 26 to two years on each count, to run concurrently. He was also given a criminal behaviour order for 10 years, prohibiting him from conducting door to door enquires or sales within the UK and prohibiting cold calling at premises within the UK in connection with any trade, business or services.